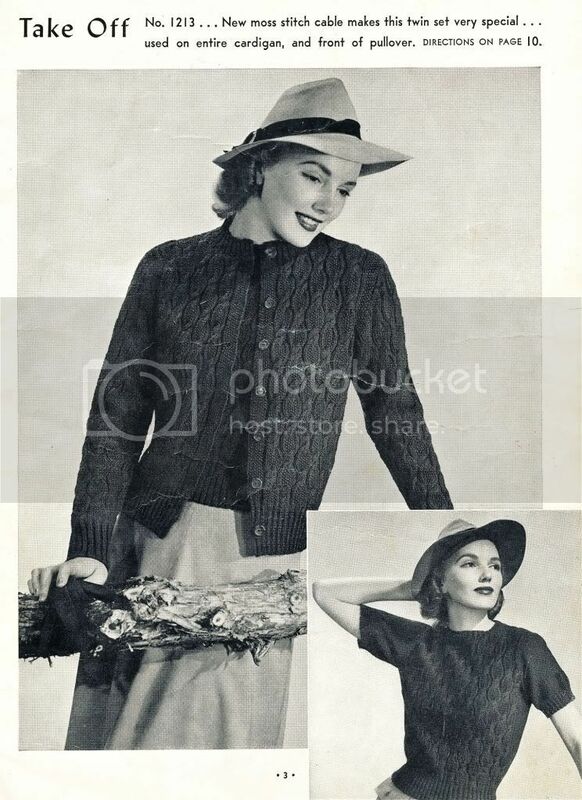 So here's a batch of fashionable forties looks for you to knit. Each one has a fetching name, Best Girl, Take Off (! 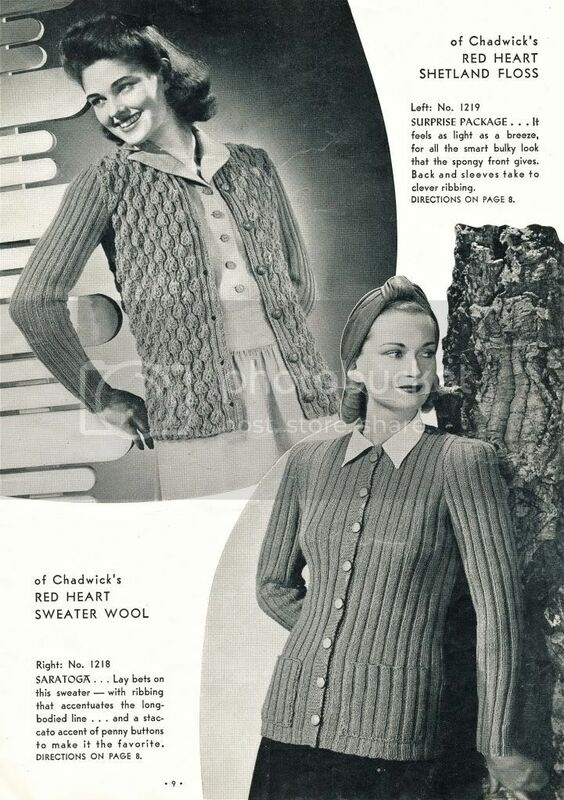 ), Cafe Society, Tea Time, Campus Belle, Surprise Package, Saratoga, Honey Chile, Heart Stealer, and Prophecy. 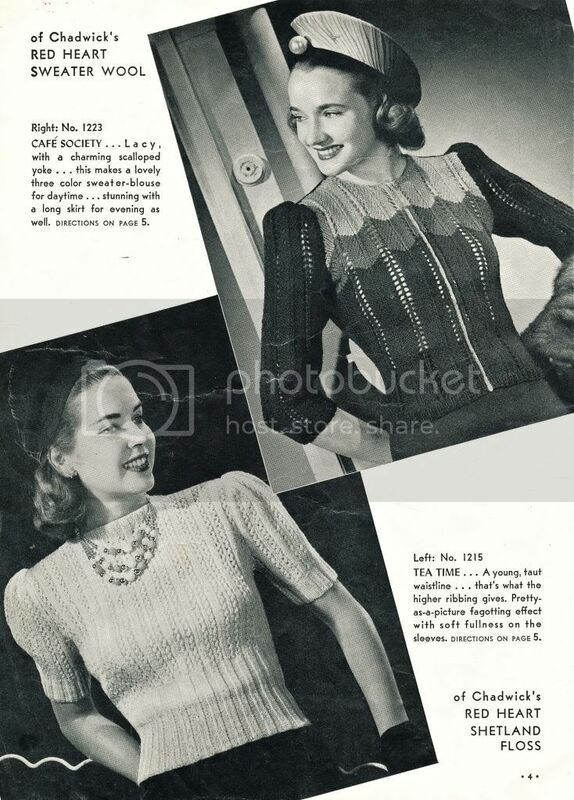 Don't miss the details, hairdos, hats, jewels, and very supportive undergarments! 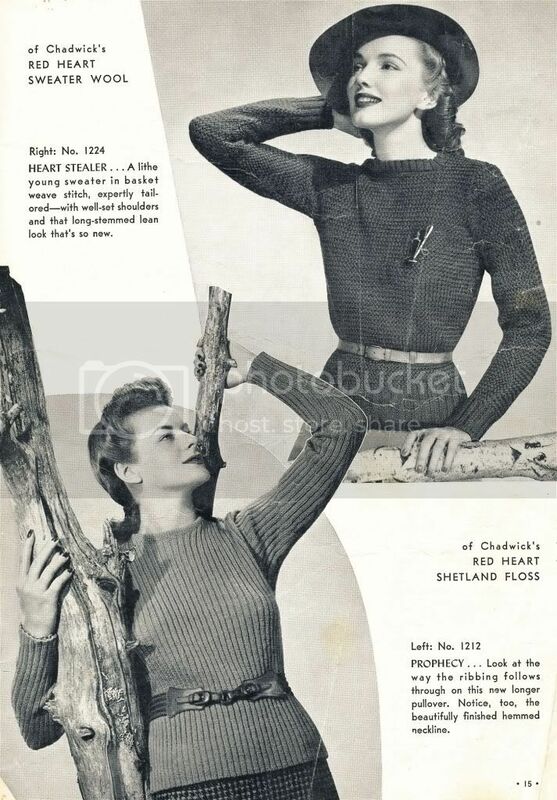 Fantastic sweaters!! 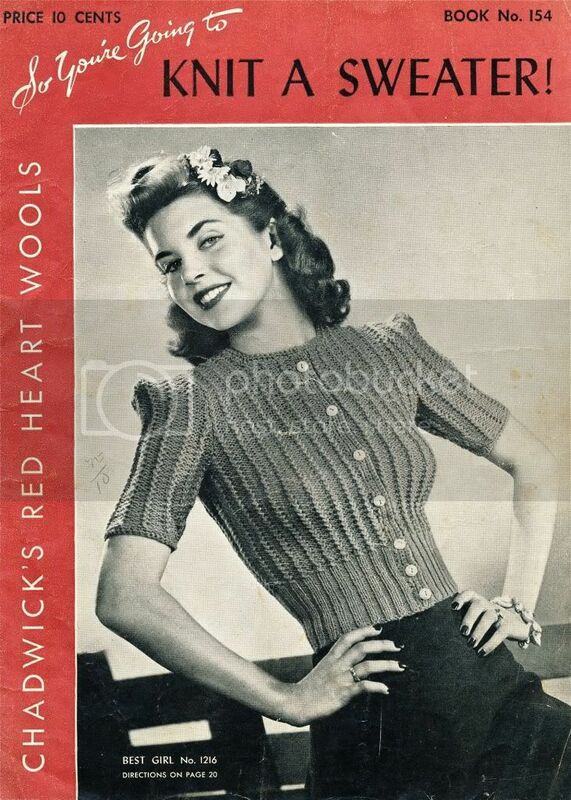 I would be able to knit! 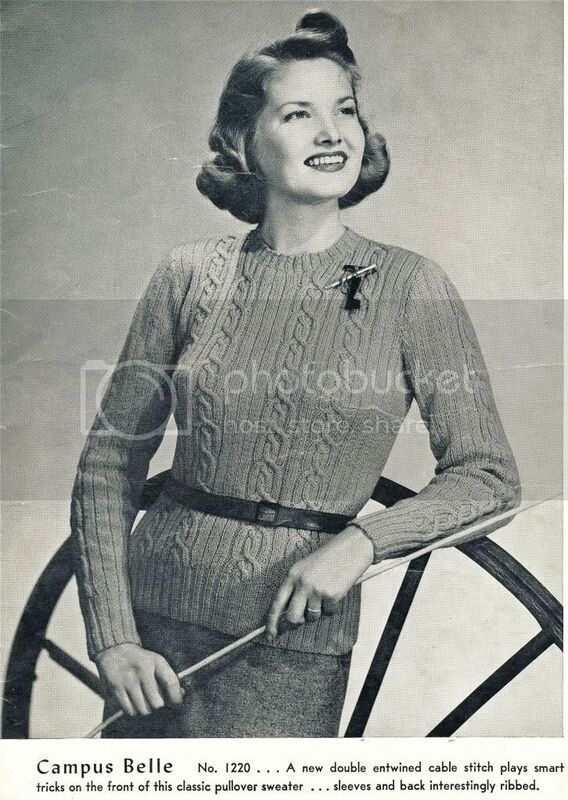 I have high hopes that one day I will knit a sweater. 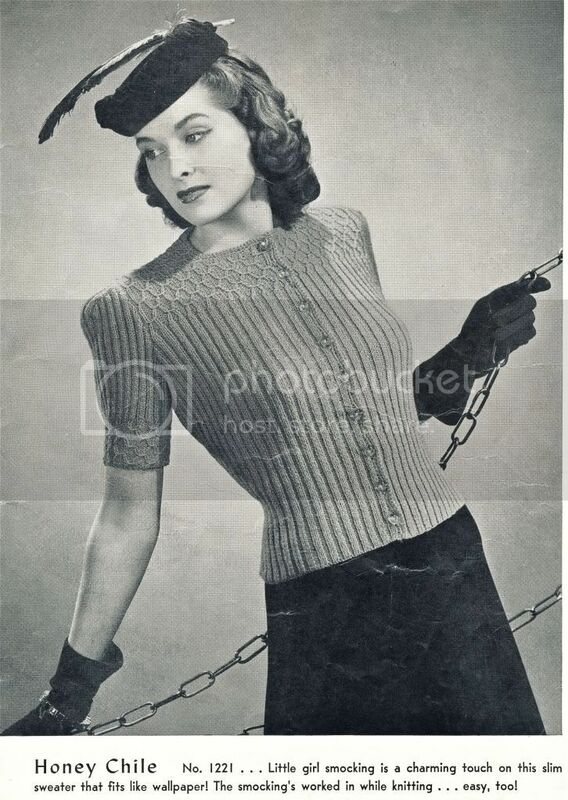 Alot of us sewing bloggers seem to be on a knitting kick right now. Me included. These are lovely. Thanks for sharing.